Among those who research the revolutions of the Marxist-fascist lineage, there is an ongoing speculation, a puzzle being assembled. It is not so much about whether the United States of America is being intentionally demolished, but about how that is being done, what the transition entails, and what will be the results. But for decades, that puzzle has been pieced out right before our noses, in established and ever more vivid slabs called regions, across our map. 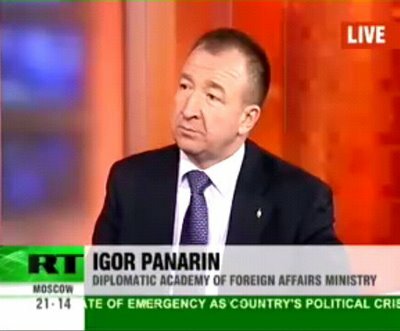 I could not help recalling what was said by Igor Panarin, a Russian Economist, a few years ago. His prediction of a collapse of the US happening in 2010 was off. I do however believe his ideas are far from off. Here are just a couple of his stated predictions. The second one is the financial and economic problems. And the third one is the increase of anti-Americanism in the world. His ideas on America being divided into six parts (map included in the link below). It would fall into six parts, and I back this up with several factors. First of all there are the ethnic, economical and geographic factors… totally different ethnic groups and ethnic interests. Texas and the Gulf of Mexico coast are the fuel and energy complex. California is Silicon Valley and high tech. Considering New York, Washington and the Atlantic coast, they’re all financial centers first of all. And the northern states of the U.S. are basically the depressive states of the U.S., close to Canada in their mentality and economic development. This is how I divide these parts. No [the United States] won’t [be able to save itself]. Obama won’t save America. Obama is an American Gorbachev. He is the one that will lead the United States to disintegration, because he lacks experience. 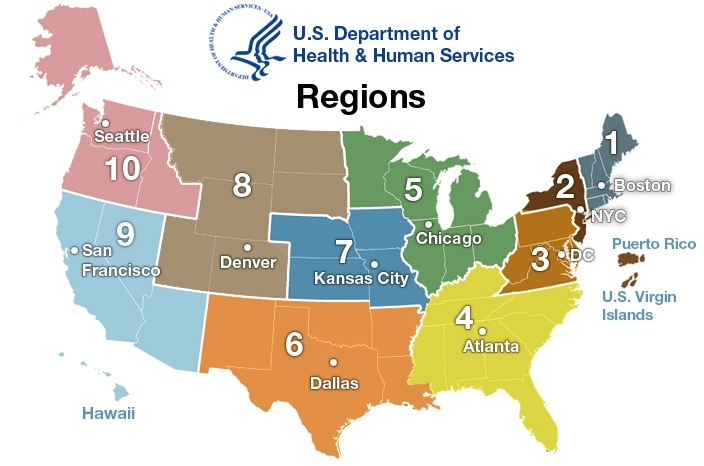 Now keeping with the theme of dividing up our country, let’s look at just a few federal agencies dividing us into regions: DHS/FEMA (also see “Intelligence Fusion Centers“), Health and Human Services, Environmental Protection Agency, and Department of Education. 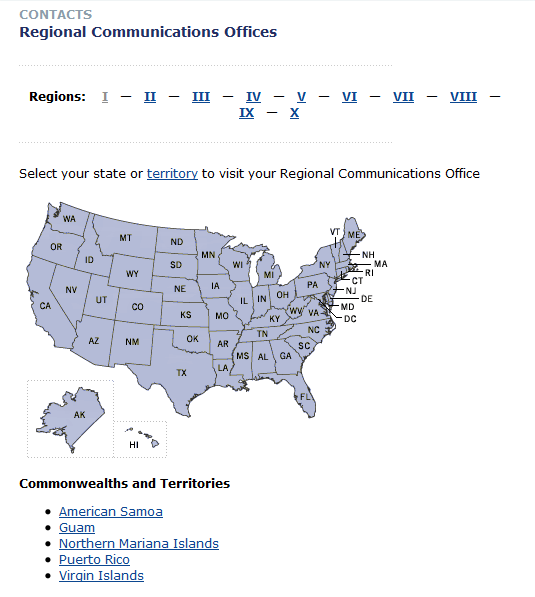 For each, its regional map is presented after its URL link. Did Democrats do this? It is important to see that this began not under current regime, but by the Nixon administration and took its next giant leap via the vaguely Nazi-harkening Department of Homeland Security, under George W. Bush. 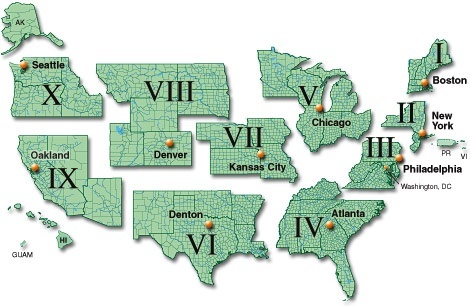 The following map depicting Nixon’s ten regions comes from an online file in circulation for years (we also link to his administration’s original 1972 Executive Order 11647: Federal Regional Councils). It is important not to fall into the comfortable trap of stubborn preconception, by believing that highly seasoned and promoted executives working closely with globalist think tanks and other NGO’s are merely “stupid” and “dupes,” as is often alleged. Similarly, it is essential not to fall prey to imposed partisan or hemispheric orders of presumed good guys vs. bad guys, as so well related in the book 1984, long before Suzanne Collins’ Hunger Games. The proper functioning of Government requires the development of closer working relationships between major Federal grantmaking agencies and State and local government and improved coordination of the categorical grant system. Back to the present, the reason Obama “won’t save America” is not due to his lack of experience per say; it is due to the fact that from the beginning he told us his objective was to transform this country. In order to transform a country you must first tear it down, which we will see has been in the making for many years now. This did not just happen overnight and a complicit media is in order to help the masses believe that the economy is bouncing back and everything is fine. As we will learn knowing history and learning from it should be imperative. According to a former KGB officer turned defector there are four stages required to “transform” a country. 1. Demoralization: It takes from fifteen to twenty years to demoralize a nation. Why that many years? Because this is the minimum number of years which requires to educate one generation of students in the country of your enemy, exposed to the ideology of the enemy. In other words, Marxism-Leninism ideology is being pumped into the soft heads of at least three generations of American students without being challenged or counterbalanced by the basic values of Americanism; American patriotism. 2. Destabilization: Takes only from 2 to 5 years to destabilize a nation — it’s — what matters is essentials: economy, foreign relations, defence systems. And you can see it quite clearly that in some areas, in such sensitive areas as defence and economy, the influence of Marxist-Leninist ideas in the United States is absolutely fantastic. 3. Crisis: It may take only up to six weeks to bring a country to the verge of crisis. 4. Normalization: a cynical expression borrowed from Soviet propaganda. Where are we, based on the these four stages? I will leave that to the reader to decide, based of course on watching the Bezmenov video or reading the transcript provided above. The destabilization of this country has been done over a period of time (longer than Obama’s 5 years). That particular phase of subversion has brought the country down immensely. See the economy and the real unemployment numbers, to reach that conclusion. We now have many saying that not having a job is a good thing. I suppose we could also say that two plus two equals five. The case can be made that the debt, of 17 trillion and counting, can and has been proven to be a manufactured crisis and yes there is a strategy behind it; that strategy being to bring us down economically in order to usher us into a global system. That destructive, subjugating process is well underway. Since the financial crisis of 2008, a lack of adequate capital has prevented many American companies from expanding existing operations or starting new businesses to create jobs in Idaho and across the country. To address this, Idaho increased its efforts to find new sources of capital located around the world. As a result of Idaho’s efforts and a favorable market for long-term investment in general, international investment interest in Idaho has been increasing. So, according to the Governor of Idaho, “Since the financial crisis of 2008, a lack of adequate capital has prevented many American companies from expanding existing operations or starting new businesses to create jobs in Idaho and across the country,” therefore Idaho needs to find new sources of capital around the world. 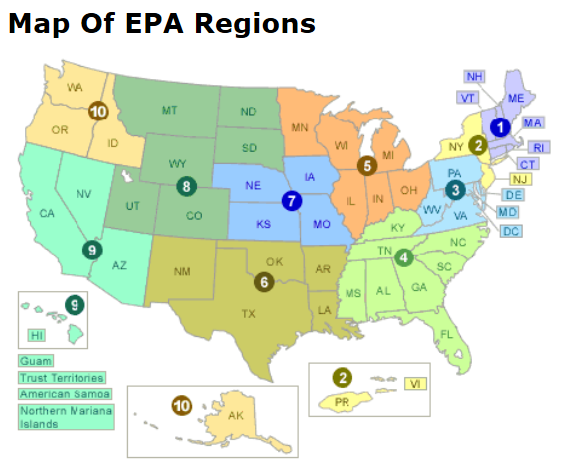 This administration is well aware of states that are struggling. The regulations put on small business’s not to mention the extra added burden of Obamacare has only made things worse. Not to worry, they have a solution to the problem. Imagine that: create the problem and then providing the solution. Remember this is about “transforming” our country, so you have to tear down America in order to “transform” into a global system. Just as the “bourgeoisie” have gone global, with well orchestrated global government to tether them together, the “proletariat” must also globalize. I mean, we’re– in the process of building the global union. Trade went global. Capital went global as you said. Companies went global. How are unions going to be local and national? And we are beginning. We have– offices now in Australia and in Switzerland and London, in South America and Africa. We’ve been working with unions around the world. And what we’re working towards is building a global organization. Because comp– you know, workers of the world unite, it’s not just a slogan anymore. It’s the way we’re going to have to do our work. And to bring greater and greater global mammon (money) influence to bear upon us in our “ten minute neighborhoods,” within our designated regions, we have to administrate the process of providing public-private partnership from around the world! And that is why we now have SelectUSA. In order to announce yet more comprehensively orchestrated destruction of U.S. sovereignty (and our personal, popular sovereignty along with it) we were shown the following by WhiteHouse.gov on Halloween, 2013. 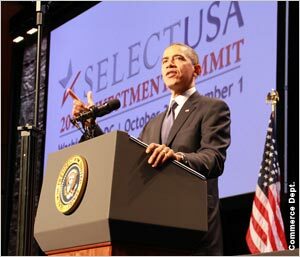 On Thursday, October 31st President Obama will host and deliver remarks at the SelectUSA Investment Summit in Washington, D.C., where he will announce aggressive expansion and enhancement of SelectUSA. Building on the progress-to-date with SelectUSA, which was launched in June 2011, the Commerce Department, State Department and White House, along with other federal agencies, are launching the first-ever fully coordinated effort at home and around the world to actively recruit businesses to bring investment to the U.S. This announcement takes major strides forward, but the President will also continue to call on Congress to provide the necessary resources required to build the full suite of capabilities required to realize our shared ambition for SelectUSA. So, instead of helping American business owners by cutting regulations to expand and grow American business’s he is putting efforts into bringing in foreign investors? Idaho has already learned that because of the 2008 collapse that expanding business is not possible. So an executive order was needed to make sure other states can do the same? So again the problem was manufactured and a solution has been created. To help meet the United States’ needs for college graduates with more robust skills in science, technology, engineering, and mathematics (STEM), BHEF has pioneered the application of system dynamics modeling to better understand the U.S. STEM pipeline. System dynamics modeling offers insights for how business and higher education need to address the STEM workforce challenge. For example, the the U.S. STEM Undergraduate Model (released in 2013) suggests that a focus on undergraduate education has the highest potential return on investment in developing the STEM workforce and that high-impact retention strategies in the first two years of college will have a greater effect on the STEM pipeline than interventions later on. These insights can help shape what programs, interventions, and policies business and higher education support in their efforts to strengthen the STEM pipeline. This is not about helping young Americans succeed in pursuing the career they want; it is about putting them in a “workforce” dictated by each region’s resources and workforce needs. Undergraduate education is to generate the highest potential return on investment, for the world’s most wealthy and powerful… nothing like a child being equated to a good or bad investment. The goal, stated by Obama, is to have 1 million new STEM students graduated by 2020. What must be understood is that Americans have been dumbed-down slowly over generations. While children in China are advancing, our children are now struggling. This is certainly not by accident and once again the problem has been created and its creators have come up with the solution to be imposed, that being Common Core. This certainly makes sense in a transformed society perhaps with China, Inc. being, let’s say, a holding company and your child being taught to be its local worker. Developing a national network to scale evidence-based practices and influence broader policy through collaborations among government, business, and higher education. For the accomplished event of national collapse a machine is being built, upon a decades old blueprint. And numerous executive orders stemming from the Reagan administration’s “Rex-84,” have been put in place which lay out that in its event a dictatorship may emerge. One may also argue that Mr. Panarin’s case is strong that as the economy continues to decline, the United States will no longer be a superpower. 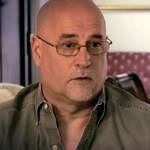 States will be coerced to do as Idaho has done. If such results are allowed, then, looking back through our future’s lens of history, we would be remembered as a nation which destroyed and divvied itself up, from an imposed, false top, downward. FWIW, i started getting demoralized in the early 80z by Chuck Harder and his For The People program was broadcast on late nite AM : Tri-Lateral Commission, Committee of 100, Illuminati, etc.